Mar john perumattam (Mst), the Bishop of Ujjain, was born on November 3,1921 at Kakkoor Parish in the Diocese of Palai, Kerala. He had his School education at Kakkoor and his priestly formation at St. Joseph's pontifical Seminary, Alwaye, He was ordained a priest of the Eparchy of Palai On March 11, 1951 by late Mar Subastian Vayalil, the first Bishop of Palai. He was then appointed assistant priest at Vadakara and later at Koodalloor parish. He was sent for higher studies to Rome and secured doctorate in Utrisque Juris from St. John Lateran University. He was appointed vice-rector and later rector of good shepherd Minor Seminary, Palai. 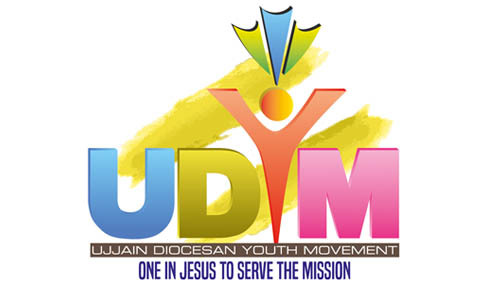 During this period, he was appointed the first director general of the newly formed Missionary Society of St.thomas the Apostle of which he is one of the founder members. While he was the Director General of the Society he was nominated the Apostolic Exarch of the Exarchate of Ujjainon July 29, 1968. He was formally installed on January 14,1969. 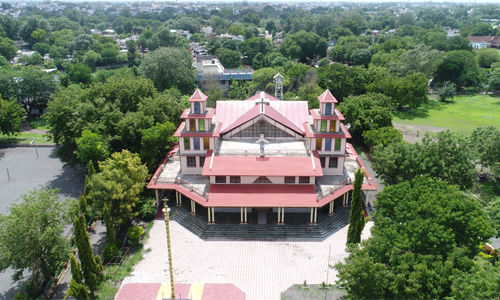 Msgr.John Perumattam was appointed Bishop of Ujjain on February 26,1977 and consecrated on May 15,1977. He is a member of the Missionary Society of St. Thomas the Apostle. He retired from his office on 8th September 1998 as Mar Sebastian Vadakel was installed to the office. 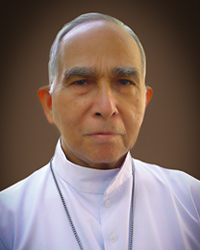 Bishop John perumattam was called to eternal rest on 18 June 2011 and was solemnly buried in the Cathedral Church On 21 June. 2011.